Today I'm repurposing another cabinet door into a shelf for small craft supplies in the craft room. 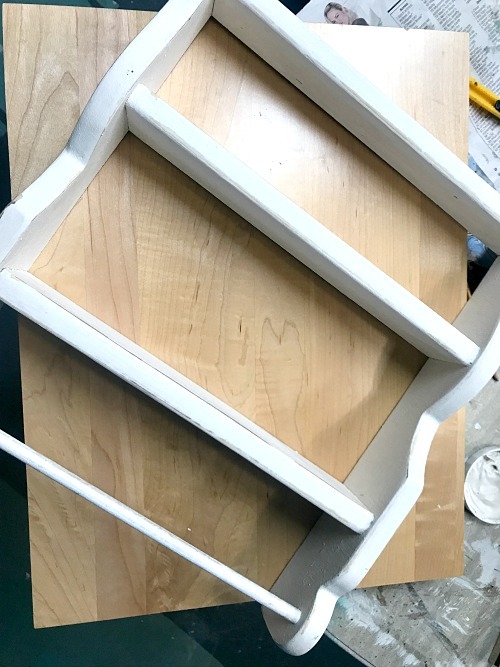 Thank goodness for the stash of old cabinet doors I came across recently because they are good for just about every DIY project. 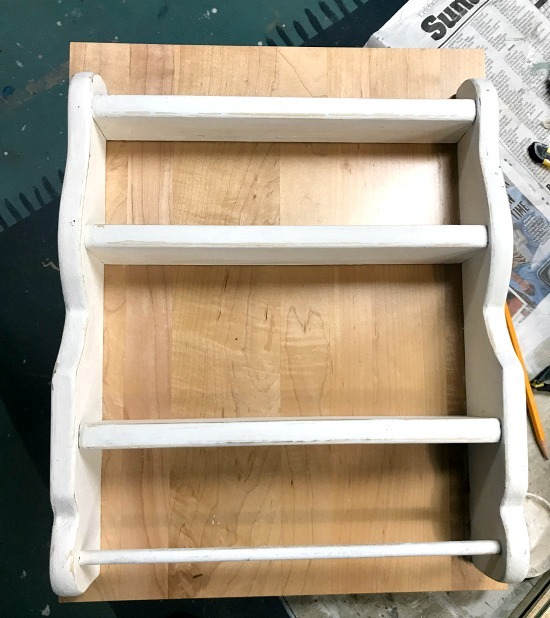 I had an old shelf I was using to hold small craft supplies but they kept falling through the back of the shelf. made a few cute painted rugs on the floor of the workshop when the paint spills got to be too much. A repurposed cabinet door is going to quickly solve this problem. I began by attaching the shelf to the very plain cabinet door with wood glue and the nail gun. 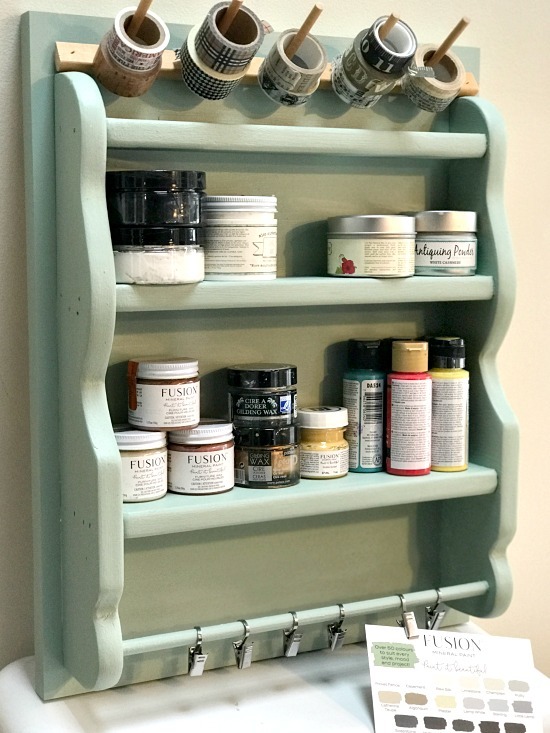 Next, I painted the piece with Ultra grip by Fusion Mineral Paint because the cabinet door was very shiny. 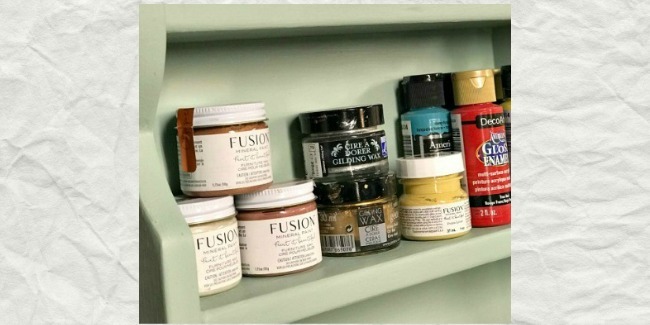 After the Ultra Grip was dry I used my new favorite Brook by Fusion Mineral Paint to paint the shelf. 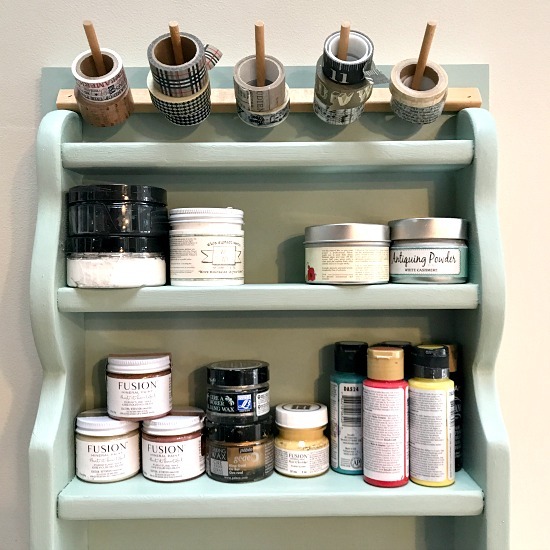 When the paint dried I was ready to add a few accessories to make the shelf even more useful. First, I added hooks to the bottom bar. 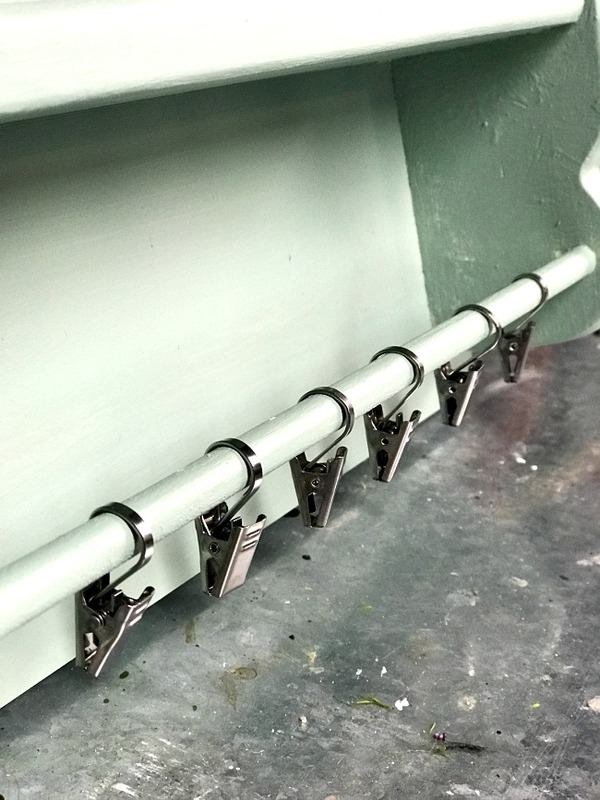 These little hooks are going to be a great place to hold important information in the craft room like my paint chart. 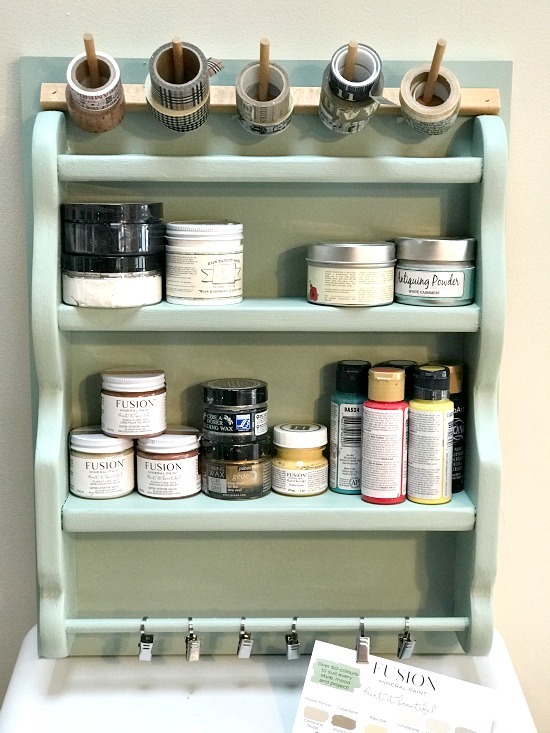 Next, I added just a piece of an old spool holder to the top of the shelf. This is going to be used to hold rolls of washi tape. Baker's Twine Spool Organizer I made a while back. I added 2 D rings to the back of the cabinet door so the shelf could be hung in the workshop. 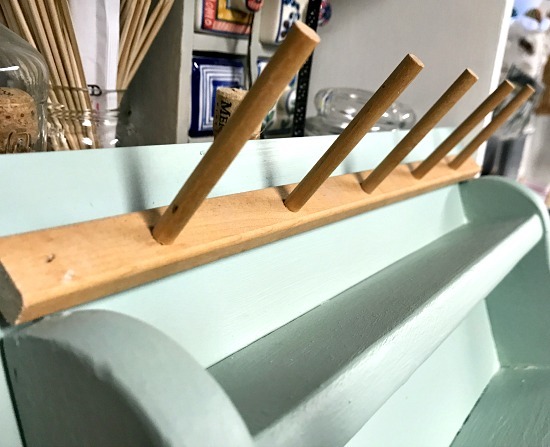 The simple addition of a plain cabinet door to the back of this shelf solved all the problems and a few simple additions made this shelf even more useful for crafts. 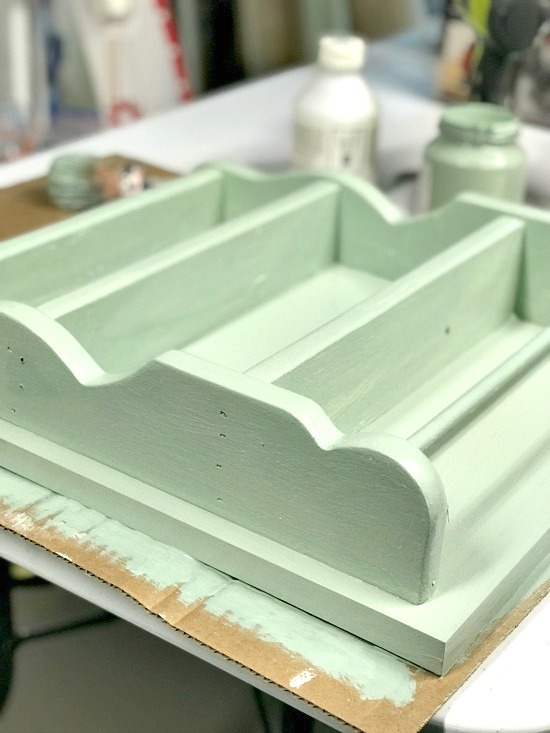 Please sign up for the Homeroad emails and I will send my latest DIY project straight to you!